Vietnamese goalkeeper Bùi Tiến Dũng left for Russia to present the “Man of the Match” award at the upcoming 2018 FIFA World Cup semi-final between England and Croatia on July 12. The award will be voted for by fans on FIFA’s websites. The journey is part of a communications plan organised by Budweiser, the main sponsor of the World Cup. 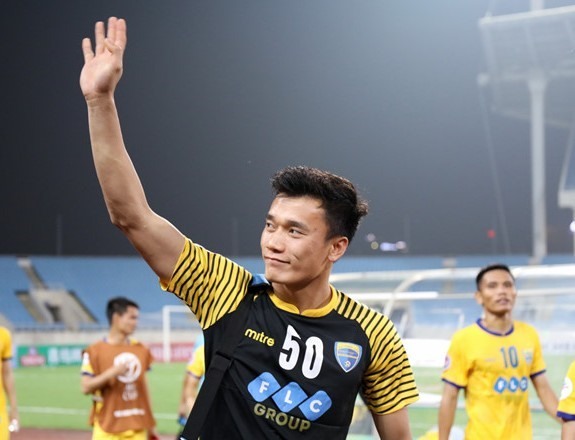 In addition to Dũng, the sponsor also invited fellow Vietnamese footballers Lê Công Vinh and Hà Đức Chinh as well as other celebrities to watch the game. Dũng, who shone at the 2018 AFC U23 Championships held in January in China, where Việt Nam finished runners-up for the first time, will return home on July 13.